A huge THANK YOU to our customers who offered us testimonials! Thank you to ALL our customers! You are always greatly appreciated! Premier Polysteel takes pride in the quality and beauty of the products we manufacture. Therefore, we make every effort to offer top-of-the-line products and superior customer service. Our purple picnic tables from Premier Polysteel were the perfect addition to our 3 exterior courtyards! The color was true to the sample, and within the year that we’ve had them on site, there hasn’t been any wear and tear or fading. They still look as beautiful as the first day we assembled them. 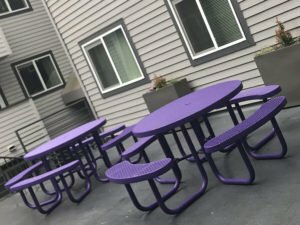 In addition, they not only bring school spirit to our student housing communities with our Husky purple, but they also did the job of completing the look of our updated courtyards for our residents to enjoy year round. Thank you Premier Polysteel! We’ve just ordered trash receptacles to match, and can’t wait to add those to our properties later this month! 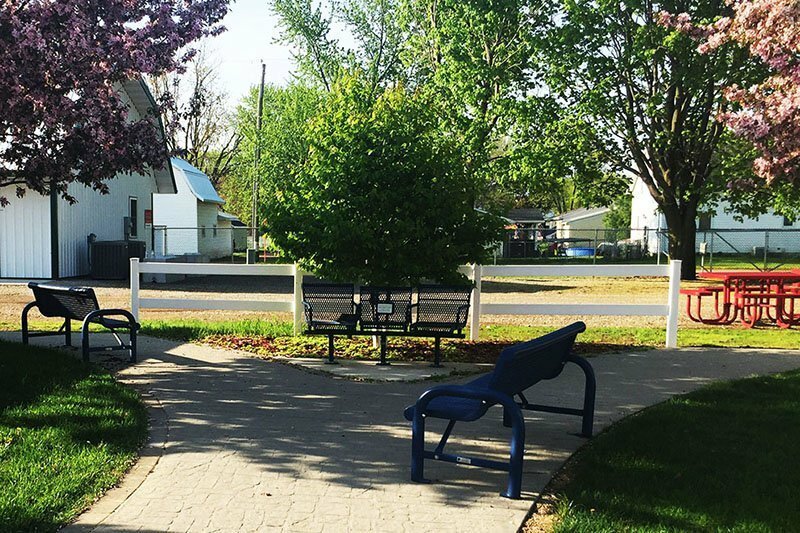 We launched a profriend campaign at our school this fall, and we are so grateful that the installation of our Premier Polysteel Buddy Bench supports all that our profriend campaign stands for – showing kindness and respect to others, and inclusion of all. 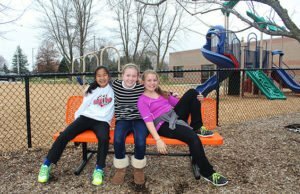 We love that our Buddy Bench has given our students a safe place on our playground to eliminate loneliness and foster friendships. 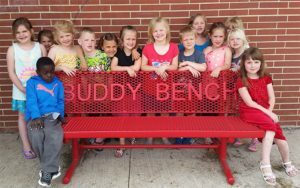 The Buddy Bench has provided a great opportunity for all our students to continue to grow their circle of friends so everyone has someone to play with. Our students love the Buddy Bench! They know that it’s a great place to go and sit when they don’t have a friend to play with. If anyone sees someone sitting alone on the bench, they go over and sit with them and visit. They can then invite them to come and play with them! It’s also a great “meeting place” for friends from different classes to find each other at recess time. I often hear kids say, “Meet me at the Buddy Bench”. Our mission statement here at Garner-Hayfield-Elementary Schools is to prepare students for a successful future in a kind, caring, and compassionate way. 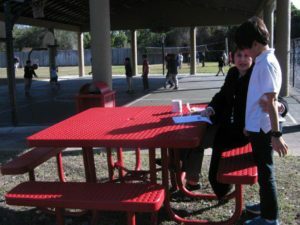 The Buddy Bench is a wonderful and positive way to achieve this mission. Everyone at Premier Polysteel was great to work with! I would highly recommend schools to look into including a Buddy Bench on their playgrounds! On behalf of Orangewood Christian School we would like to express our thanks and gratitude for Premier’s service to our school. Over a period of five years we have obtained Premier Polysteel picnic tables, benches, trash receptacles and even a bike rack. The construction and maintenance-free products have enhanced our school property. Thank you Premier Polysteel for your support to our school community. This is our 4th year at USC that we have extremely enjoyed our new Premier Polysteel Furniture here. We have a selection of equipment, such as picnic tables, benches, and trash can receptacle, all built with a high-quality product. They are very rugged and well constructed. We love them so much, we are ordering a buddy bench for our playground. I would highly recommend this product to anyone that is in need for this type of outdoor equipment. You will never go wrong with Premier Polysteel! Premier Polysteel is not just a great manufacturer of quality products, they are terrific people as well. They understood our needs and customized a solution that made sense for our business. We truly enjoyed working with Premier Polysteel and their amazing staff. 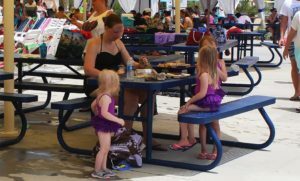 The picnic tables Premier Polysteel delivered are great and are good quality for the use of our guests. The tables require no maintenance and save on expensive overhead. Because we have a rainy climate, we appreciate that the tables dry quickly and sand doesn’t stick to them. Less work, less cost, more value for our budget. Premier Polysteel has been our picnic table supplier for our first amusement park in Nicaragua. Their products offer high quality and durability and their customer service is great. They respond very quickly and go above and beyond to help with anything they can. Albert Lea Parks and Recreation is very pleased with the lounge chairs we ordered through Premier Polysteel. Pool patrons and staff loved that they were durable and easy to move. There was no fear of straps tearing or plastic breaking. When the Aquatic Center opened its doors for the day, these particular lounge chairs were the first to be snatched up! We definitely plan on ordering more in the future to replace older outdated loungers. Dr. Guy needed a picnic table for her outdoor space that would withstand year-round Minnesota weather and comfortably seat her employees during breaks. We are happy to say we were able to meet their needs. We are so happy with the bike rack that was made for us by Premier Polysteel. It is so well-built and solid. Users don’t have to worry about it tipping over when they park their bikes. When they lock their bikes in, they can be sure they’re not going anywhere! And it won’t rust, fall apart, or get bent out of shape like racks of lesser quality. We didn’t have a bike rack before, so we like the fact that having it encourages people to ride their bikes to church and keeps the kid’s bikes off the sidewalk. It’s a fantastic bike rack in every way! Testimonials from our customers are always greatly appreciated. Please contact us to submit a written testimonial or for more information about Premier Polysteel commercial outdoor furniture!